Maintaining HIPAA compliance is a critical function for IT services in Los Angeles. 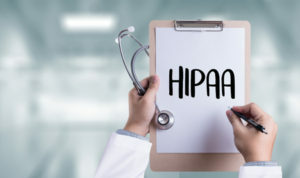 Whether you are a small medical clinic or a large hospital, it is essential to choose an IT provider that will help you to avoid making common HIPAA mistakes. As you know, any errors can cost you dearly; negative publicity, loss of clients, or any other error can earn you a fine of up to $1.5 million. Even in severe cases, HIPAA violations carry criminal charges that can lead to a prison sentence. One of the main benefits of partnering with a managed service provider (MSP) is that it allows you to be proactive through continually testing to ensure compliance in all areas. Providing extended training for employees will help them to avoid making common mistakes and is an invaluable resource. An MSP can offer these training sessions as often as needed, whether it is on a weekly or monthly basis. One of the most common HIPAA violations is improper disclosure of health information to another party. These people can be contractors, associates, or other personnel. An IT services company in Los Angeles can prevent these disclosures by using technology that prevents this information from being disclosed to other entities. Continually testing these safeguards will ensure that you are compliant and will not risk any violations. Information is much harder to destroy in today’s environment, as nearly everything can be uploaded to the internet for the whole world to view. Any personal health information that is no longer relevant must be destroyed. Anything in paper form needs to be shredded and any old software devices must be destroyed or wiped clean. If you have any questions, you can contact your IT provider regarding the most effective ways to eliminate confidential data. Finally, mobile device management (MDM) plays a critical role in keeping data safe and protected. As you may know, one of the most common HIPAA violations is storing mobile devices that are not adequately protected. If these mobile devices are ever lost or stolen, the issuing party is directly responsible. Partnering with an IT provider will enable you to use encryption and password protection as an added layer of security against the wide variety of threats. As you can see, it is critical to partner with an IT services company in Los Angeles that specializes in keeping businesses HIPAA-compliant. At Intelecis, Inc., we’ve been helping companies take advantage of the latest technology since 2010. We also provide support for hospitals and medical offices to remain HIPAA-compliant, as providing security is our number one priority at our company. Our staff will be more than happy to answer any questions and demonstrate our safeguard procedures that ensure confidential data remains safe and protected. Do not wait any longer— contact us today to learn more!